Carriage Mitsubishi in Gainesville, GA offers an excellent way to earn money by referring people to purchase their next vehicle from us! Because we are confident in the ability of our staff to treat every customer with the respect they deserve, we know that you won’t have a problem sending your co-workers, friends, and family to us. As a way to say thank you, we offer an easy way to submit your referral to us so that we can mail you your referral money as soon as possible! 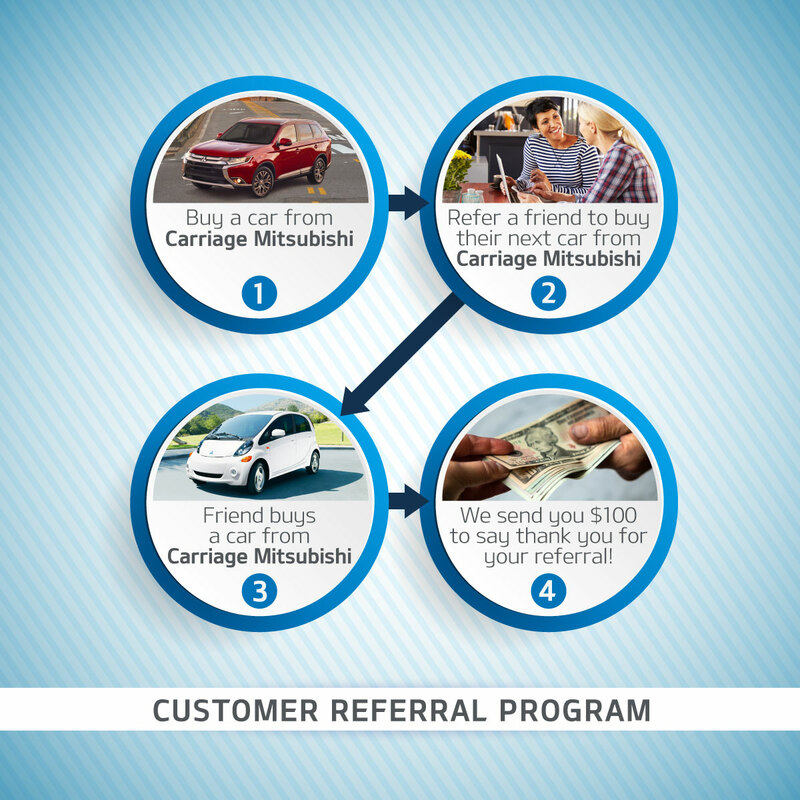 If you’ve bought a Mitsubishi from Carriage Mitsubishi , conveniently located near Atlanta, GA, make sure you tell your friends to buy their next car at Carriage Mitsubishi so you can earn money back thanks to our Customer Referral Program!